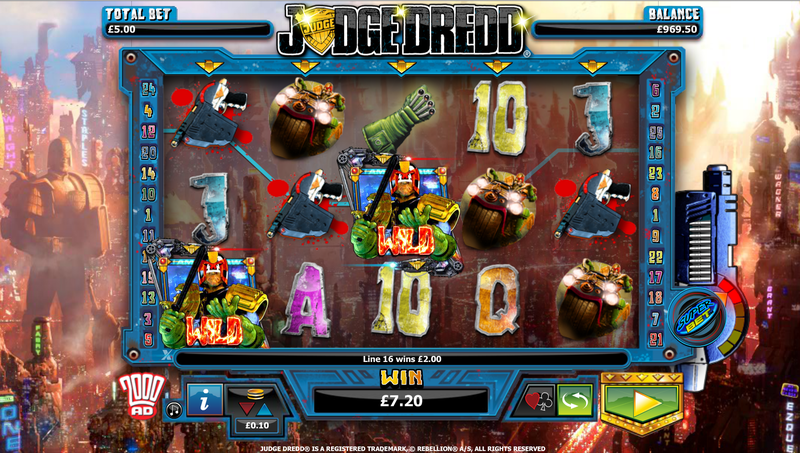 Judge Dredd is an online slot machine which is based on a very popular comic book character. This character is popular in the UK. It was created by NextGen Gaming Casino and you are given the chance to have an excellent gambling experience, especially since there is the innovative Super Bet feature available. The biggest fixed jackpot available for this online slot machine is worth 2,000 coins and there is plenty of action available while playing this game, especially since you can see wilds, multipliers, free spins and other features as you start spinning the 5 reels and get to activate up to 25 pay-lines which are available. 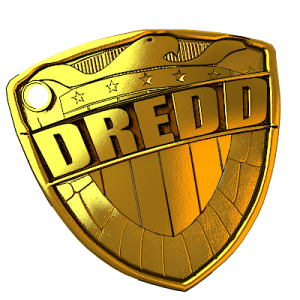 As soon as you take a look at the wagers that are available while playing the Judge Dredd slot machine you can notice the coin denomination starts from $0.01 and goes up to $2.00. There are 25 pay-lines and this gives you the chance to spin the reels with a maximum wager of $50. One of the highest paying online slot machine feature here is the free games. There are 10 free spins awarded to you and as soon as you trigger this feature, you will get the chance to watch Judge Dredd adding many wilds and enhancing your payouts drastically. 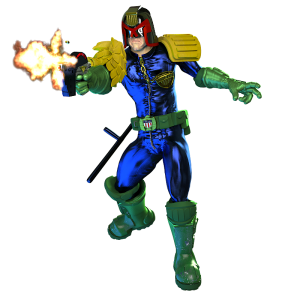 One of the special features that is available while playing Judge Dredd slot machine is called I am the Law feature. This feature is quite simple to understand how it works. 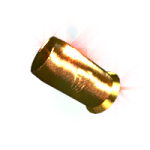 This is a feature that will get triggered right after a winning spin. Things are kept very simple and Judge Dredd is going to appear on your reels and offer you an instant cash bonus. The amount is going to be completely random and it’s based completely on the amount of money you’ve wagered and the maximum amount is set at 10 times the amount wagered. The most appealing online slot machine feature is going to be the free spins round. You need to get 3 Dredd scatter symbols and this way you will have the opportunity to win big. As soon as this happens, you will have the opportunity to receive 10 free games and all the prizes here are going to be doubled. There is going to be even more action available as you will get to see a much higher number of Dredd wild symbols and this is going to happen on the enhanced reels.